The name may not ring many bells, but the sound of this great lady’s voice is most likely lurking in the minds and memories of a huge amount of black South African people today. The sound of the voice is soft, sweet and yet resilient. It is a voice that is somehow very well known, even if the name is not. The amount of groups that this lady made beautiful music with is astonishing. 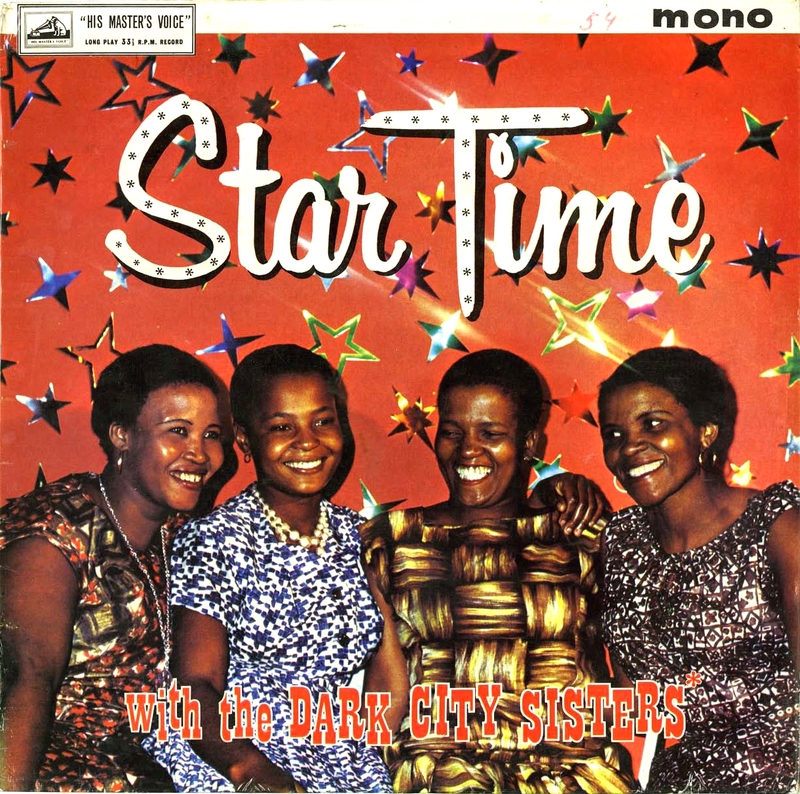 We couldn’t possibly list every single group – but here are some of the best: Dark City Sisters, Killingstone Stars, Black Sea Giants, The Sweet Sixteens, The Telegram Specials, Brit’s Sweethearts, Young Stars, Radio Stars, Pretty Dolls, Beauty Queens, Irene and The Sweet Melodians, Mgababa Queens, Izintombi Zomoya, The Zebras, Mahabula Joza, Mahotella Queens… and the list rightly goes on and on. It is Electric Jive’s honour to proudly present to you the life story of a supreme talent – Irene Mawela, one of South Africa’s finest and most distinctive female singers. As well as being a tremendously gifted vocalist, Irene is also a prolific songwriter and has composed some of the most memorable mbaqanga songs of the last few decades. A couple of months ago, I had the wonderful honour of making contact with Irene herself. To be able to converse with this humble lady and then prepare a biography has been nothing short of overwhelming. My thanks go to Irene for her remarkable and prolific work completed over the course of a near-60 year career. Irene Mawela was born into a Venda family in 1940 in Moroka, Soweto. Before Irene’s birth, her parents had moved from Limpopo to Soweto in order to find work, but the destructive political situation of the time meant that the family could never reveal their true Venda identity outside of their own home. The joyful sound of music was embedded into Irene right from the start. Whenever the infant Irene started to cry or become unsettled, her mother would sing a particular song to keep her calm. ‘Ndiala, ndiala… ndiala, ndiala…’ crooned Irene’s mother to her baby. It worked every time and Irene always quietened down to listen to the beautiful tune. By the time she was learning to speak, little Irene began humming the song herself. In order to hide her Venda identity, Irene was enrolled in a Sotho school in her childhood. She spoke fluent Venda at home but never outside it. At school, she learnt to become fluent in Sotho but also had the opportunity to learn and become familiar with Zulu, Xhosa, Pedi and Shangaan. Raised in a Catholic family, Irene regularly attended church where her keen love for singing grew. By her teens, she was a singer in the Sweet Voices, a chorus that sang at wedding ceremonies in Soweto. It was with this group that Irene began perfecting her uniquely sweet lead harmony, a talent that earned her many followers. 17-year old Irene was at a wedding party in Soweto singing with the Sweet Voices when the well-known talent scout and producer Rupert Bopape, at the time the head of EMI South Africa’s black production unit, approached her. Bopape had recently formed a trio of female singers who he recorded as the Dark City Sisters, so-named after the township of Alexandra and its lack of electricity at night (although only one of the three singers actually hailed from Alexandra). The three founding members of the Dark City Sisters were Nunu Maseko, Francisca Mngomezulu and Kate Olene. Once their popularity kicked off in a big way (culminating in their hit Christmas/New Year 78 rpm featuring the songs “Umnyezane” and “Mntwana”), Bopape wanted to expand the group and begin recording the large team of singers under a variety of recording names (a practice already being perfected by rival producer Cuthbert Matumba at Troubadour Records). The reason usually given by producers for recording the same team of singers under different group names was because the industry only allowed a certain number of recordings by artists per year. The new strategy of recording under various names increased production and therefore increased profit for the record company. Bopape often attended wedding parties on the lookout for singing talent to bring back to the studios. He was excited by the rich harmonies of the Sweet Voices, and invited two of its members – Irene and Monica – to Johannesburg for an audition. Irene was just out of school, but her parents gave their consent. Unfortunately, on the day of the audition, Monica failed to show up, leaving a nervous Irene to sing alone in front of Mr. Bopape. The wise talent scout saw Irene’s potential and, without hesitating, he gave her a recording contract. Irene was thrown into the deep end almost immediately, summoned into the studio to record as a member of the Dark City Sisters. Irene’s very first recording, “July Handicap”, was also her own composition (though ultimately credited to Rupert Bopape). In the strange environment of a studio for the very first time, Irene recalls the mixed feelings of excitement and nervousness that contributed to her shivering, “vibrating” performance in that first session! Pretty soon, any feelings of anxiety subsided and Irene settled into an enjoyable routine of recording, performing and composing. The EMI girls were originally backed by a band of pennywhistler-singers titled The Black Mambazo, who comprised Aaron ‘Jack’ Lerole, Elias ‘Shamba’ Lerole, Zeph Nkabinde and Peter Khumalo. The band was joined in Bopape’s studios by the likes of Zacks Nkosi (saxophonist, principal arranger of EMI’s African jazz recordings and also the husband of Dark City Sisters singer Kate Olene), Elijah Nkwanyane, Ellison Themba and Almon Memela, all of whom contributed at one point or another to the various recording names. The Dark City Sisters of this era (1958 to 1962) comprised Esther Khoza, Nunu Maseko, Irene Mawela, Francisca Mngomezulu, Hilda Mogapi, Joyce Mogatusi, Grace Msika and Kate Olene. The first public appearance of the Dark City Sisters was at Zoo Lake in Johannesburg. Although a large contingent of singers recorded under the name in the studio, only four of them performed live. After their appearance at Zoo Lake, the Sisters began to perform at a number of other venues such as halls and schools. The happy crowds would throw money at the stages in excitement at seeing the famous group in the flesh. The group’s first trip outside of Johannesburg was to Durban with fellow recording artists The Black Mambazo and The King’s Messengers Quartet. The artists stayed at the blacks-only Himalaya Hotel where crowds gathered in the hope of seeing the famous musicians. People flocked to the halls to see the Sisters in action – by the time the show started, the halls were completely full to the brim! 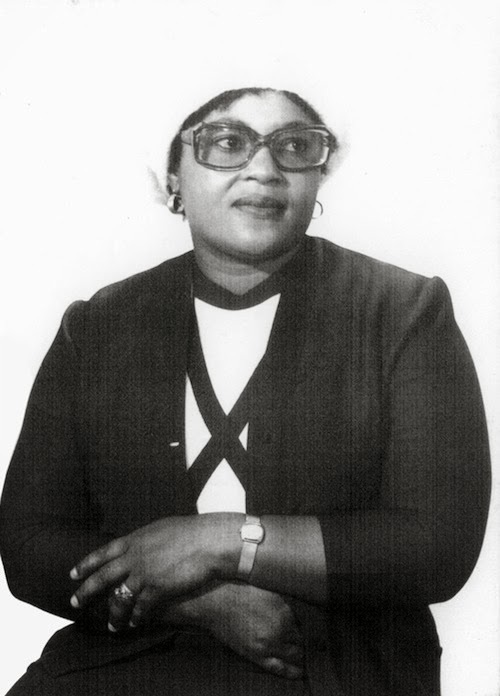 The serene and inventive vocals of Joyce Mogatusi, who joined the Sisters in 1959, usually led most recordings made under the various names, although Irene did perform her sweet lead on some of the songs. “Tap Tap Ntshebe” features Irene singing the lead vocals in conjunction with Simon ‘Mahlathini’ Nkabinde, the younger brother of The Black Mambazo’s Zeph (and soon to be a sensational crowd-puller). 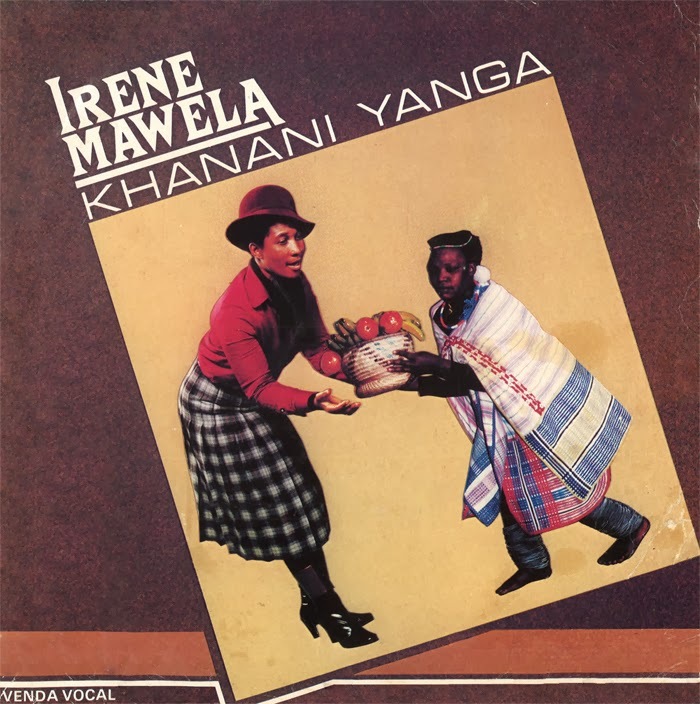 Both Mahlathini (providing some spoken word) and Irene (singing the ‘high part’) can be heard harmonising on one of the Sisters’ memorable hits of the day, “Rose”, the story of a man’s search for his one true love. Irene didn’t just sing as part of the Sisters – she also backed several of EMI’s solo female stars, including Alice Dasa and Susan Gabashane. Irene’s prolific composing career began at EMI. She possesses a great talent for telling an engaging story through the combination of expressive lyrics and a beautiful melody. On many occasions she would come up with both the lyrics and the melody, but often she would come up with melodies for the hundreds of lyrics written by Mr. Bopape. Irene also regularly took traditional songs and re-arranged them for her fellow musicians to sing in the studio. One of these is “Mamorwesi”, which features Joyce Mogatusi’s prominently gorgeous soprano, with Irene singing the corresponding alto part. The song narrates the journey of a girl named Mamorwesi who has left her village to go and find work in Johannesburg. Her family left behind continues to struggle to make ends meet, and Mamorwesi’s sister-in-law asks why she doesn’t help out. Although singing and writing songs was indeed a nice job to have, there were restrictions on artists that often took its toll. For example, the majority of Irene’s material was composed in Zulu and Sotho, despite her being a Venda girl. Record company management ordered that ‘popular music’ had to be recorded in mostly Zulu and Sotho, for the simple reason that most black record buyers in the urban areas spoke either of those two languages. Venda and Shangaan listeners were mostly populated in the rural zones. In addition to being forced to disclose her true identity as a Venda person, Irene consistently felt during those early years as if she was burning inside by not being able to do anything for her mother tongue, even if she was very fluent in most languages. In addition, there were apparently restrictions on how many songs a composer could write per year. It has been claimed that this was a policy created by producers in order to keep their artists in place. Rupert Bopape worked around the difficult situations by giving Irene different names to compose under, all of which then appeared on the disc labels – the most used of these pseudonyms was ‘Irene Nhlapo’. Bopape was a very smart individual whose careful control and management led to EMI’s huge success within the market during the early 1960s. As a talent scout, he was extremely capable at spotting some of the best musicians to be found. As a producer, he did his job very precisely and firmly. In fact, it was his almost domineering leadership that sent Irene on her way. Bopape advised his artists that although singing was a pleasure, they needed to be serious and objective about their jobs. They were instructed to avoid alcohol and present themselves properly when in public. The singers had to turn up to rehearsals and recording sessions on time – if they were even so much as five minutes late, Bopape would scold them for not being prompt. Retrospectively, Irene respects the fact that Bopape was trying to instil a good sense of timekeeping and proper conduct within her and her contemporaries, but as girls who were barely in their 20s, they could not have disliked his harsh treatment more! Irene became unhappy with Bopape’s treatment and left EMI in 1962. After leaving EMI, Irene went straight to Troubadour under the production of Cuthbert Matumba. Troubadour was at a time one of the biggest forces to be reckoned with in the industry, producing a veritably lengthy stream of records in a topical vein by numerous artists. Matumba was a canny operator whose uniquely perceptive management was the answer to Troubadour’s popularity and reputation of the day. Irene became part of the team that produced recordings under a variety of popular group names, the most famous pseudonym during the early 1960s being The Sweet Sixteens. The team of female singers at Troubadour included Irene, Lindi Khumalo, Olga Mhlongo, Ida Radebe, Mary Thobei and Ruth Xaba. With this assemblage, Irene made some memorable recordings including “Insizwa” (as The Telegram Specials), spotlighting one of Irene’s most mesmerising leads. Bopape heard "Insizwa" being played over the radio and immediately recognised Irene's voice. When she left EMI earlier in 1962, she had actually neglected to inform the strict producer that she was going - in her words, she "ran away" from him. Bopape was astonished by Irene's disappearance. Edmund 'Ntemi' Piliso, a tenor sax player in Bopape's stable, found out Irene's exact whereabouts and informed his producer. Bopape turned up at Troubadour's studios on many occasions over the next years in the hope of finding Irene. After being told by one of her fellow musicians that Bopape was in the building looking for her, Irene would always manage to hide from him until he left the premises! In 1964, Bopape left EMI and joined Gallo Africa where he built up a new black music operation for the organisation later called Mavuthela Music Company. At Mavuthela, using some newer innovative session musicians including Marks Mankwane, Vivian Ngubane and Joseph Makwela, he began building up the more elastic and heavy mbaqanga sound that quickly found huge popularity. He continued to turn up at Troubadour from time to time hoping to find Irene. Despite these peculiar incidents, Irene remained a firm fixture at Troubadour Records. As well as making the classic girl group records, she also acted as a backing singer for Troubadour’s solo female stars including Dorothy Masuka, Mabel Mafuya and Dixie Kwankwa. While Irene was still writing as many songs as she wanted to, producer Cuthbert Matumba also insisted that the industry only allowed a certain number of compositions by songwriters every year. To try to skirt around the rule, Irene was credited for many of the songs she wrote at Troubadour as ‘Sarah Ngwenya’. But it did not end there. Troubadour’s artists noticed that the majority of the company’s 78 rpm disc labels actually credited their compositions to unknown names such as ‘Ngubane’, ‘Gumede’ and ‘Bepete’. Even many of Matumba’s own compositions were credited to any one of those three names. When confronted about it, Matumba reminded his artists of the rule that only a few songs per composer could be released in a year. The artists had their own suspicions as to why most of their songs were credited to these unknown people, fictitious or not, but on went the practice until Matumba was killed in a car crash in 1965. Irene continued to record as a Troubadour session vocalist under Matumba’s replacement, Daniel Makhubela (better known as sax jiver Kid Margo), but the company had begun to lose its grip after Matumba’s death, largely due to the development of Bopape’s Mavuthela as the most dominant label in the local music market. In 1969, Trutone bought the declining Troubadour and its assets were absorbed into the larger company, with Troubadour effectively ceasing to exist. Irene continued singing at Trutone with the other session girls including Sannah Mnguni (originally the lead singer of Izintombi Zesi Manje Manje) as The Sweet Sixteens. Then, about two years later, Trutone itself was bought out by Teal Records and most of the ex-Trutone staff was fired. Teal’s own black music production stable had been managed since 1969 by alto saxophonist and talent scout David Thekwane. Irene became part of the Teal roster and the popular Sweet Sixteens name lived on. Though there were other session girls in the studio, it was under Thekwane’s production that Irene started to “back” herself for the first time – i.e., singing all of the vocal parts herself and then having them multi-tracked to create a smooth, girl group harmony. 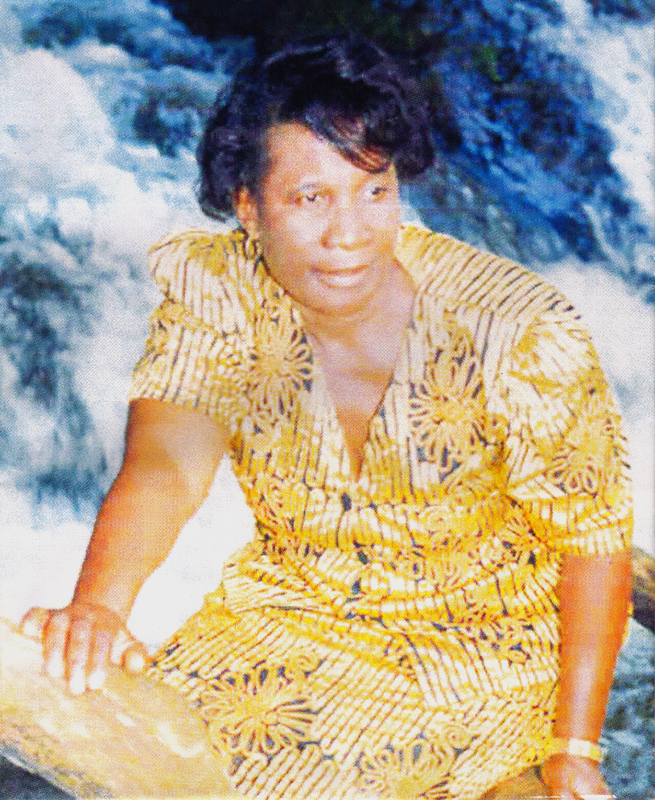 Irene’s longing to record in Venda language had persisted throughout her career. She had proposed her idea to record company management who did not understand why she wanted to do so. It simply was not commercially viable for artists to record in languages that did not sell – the notion was that Zulu and Sotho listeners were not going to enter a record store with the purpose of buying a single recorded in Venda or Shangaan. During her two years at Trutone, Irene fought with the management to let her record in Venda. After some deliberation, the bosses relented – Irene was allowed to record one Venda single in order to gauge the market. Thusly, Irene became the very first mbaqanga artist signed with a commercial label to record songs in Venda. Released as 'Irene and The Sweet Sixteens', the A-side hit was “Rosinah”, a song that analysed the difficult relationship between wives in a polygamy marriage: Rosinah, the second wife, overpowers Emily, the first wife, a dishonourable act not allowed within polygamy marriages. For her next Venda recordings made for David Thekwane in 1972, Irene reminisced about her childhood. The beautiful song that her mother used to sing to baby Irene surely had to be a perfect number to record – and so, it was in early 1972 that the adult Irene crooned the magnificent “Ndiala” in the recording studio. Although the few Venda 45s sold better than initially expected, Irene was still instructed to record the majority of her material in 'sellable' languages. As a result, she decided to freelance with the SABC where she recorded Venda language versions of the Zulu and Sotho songs she made for the record company. The recordings were administered by the record company but transmitted across the airwaves via Radio Venda. Much of the music transmitted on Radio Venda up to now consisted of field recordings of traditional music performed by Venda people living in the rural areas. This put Irene in a unique position as the only Venda artist recording mbaqanga songs in that language. By 1972, Rupert Bopape’s Mavuthela stable was still flying high with a variety of popular bands, many of them among the most popular groups in South Africa. His 1964 creation, the Mahotella Queens, had long since overtaken his 1958 creation, the Dark City Sisters, as South Africa’s leading female group. In conjunction with Mahlathini and the Makgona Tsohle Band, their recordings were always of a distinctly high quality, and the stage shows were not to be missed. But even though Bopape was running a wonderfully successful ship, he had not given up searching for the girl who had run away from him all those years ago. His searches had constantly come to nothing – Irene always managed to successfully hide herself after being informed that he had turned up looking for her. Bopape and Irene were eventually reunited – but the meeting was completely unintentional. It was in mid-1972 when Irene attended SAMRO to collect the annual royalties owed to her. Bopape was also collecting his royalties when the two spotted each other. There was nowhere for Irene to go and hide! Bopape called out her name and she went to him. “Come to Mavuthela”, he told her. “We need you”. Irene decided to join Mavuthela shortly after her meeting with Bopape. Irene would discover that she had indeed made the right choice. She began recording as part of a new junior line-up called the Mgababa Queens. Irene also recorded with Izintombi Zomoya, the second-tier group behind the senior Mahotella Queens. (In the late 1960s and early 1970s, some of the Mahotella Queens quit following a payment dispute with Bopape, and some of the Izintombi Zomoya members filled the vacant places in the Queens line-up. Izintombi Zomoya was kept together with a slightly newer line-up that included Irene. 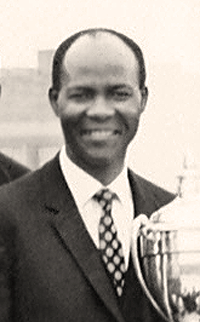 Robert ‘Mbazo’ Mkhize was the groaner for both groups after Mahlathini’s departure from Mavuthela later in 1972.) In addition to recording with those groups, Irene was given prominent billing with the line-up 'Irene and The Sweet Melodians', a nod to the famous Sweet Sixteens with whom she had risen to popularity. Her musical creativity saw no bounds through eleven years recording with Mavuthela under the brilliant directorship of Mr. Bopape. Together with some of the best session musicians in the country, she produced arguably the finest work of her entire career. “Abakhulu”, recorded in 1974 by Irene and The Sweet Melodians, was one of her greatest numbers of the decade. Irene’s wonderfully repetitive chants of ‘sukumani!’ (get up!) helped to keep the sprightly, upbeat tune in the minds of listeners. The rhythmic tune featured Irene singing an extended solo accompanied only by the swinging band of studio musicians – keys, guitar, bass and drums. 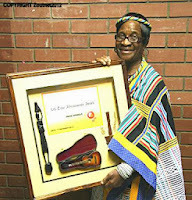 “Abakhulu” went on to win Irene her first award – the second place certificate for Best Song at the SARIE Awards. A little known but amazing fact is that Irene Mawela is perhaps responsible for initiating the commercial recording career of a superb isicathamiya choir named Ladysmith Black Mambazo. It was the golden voice and the brilliant mind of leader Joseph Shabalala that helped put the group on the path to success. The sound of Mambazo built on the innovations of Enoch Masina’s King Star Brothers, who had successfully “softened” the strident tones that were very typical of Zulu male vocal choirs up to now. But what separated Mambazo from the rest was the utterly excellent quality of Shabalala’s compositions, which were always meaningful and profound no matter the topic. In 1967, the group travelled to the SABC studio in Durban to audition for Yvonne Huskisson, then the organiser of ‘Bantu music’. Mambazo built up some staggering popularity in and around Durban over the next five or so years, their recordings being transmitted regularly on Radio Zulu’s Cothoza Mfana programme. In early 1972, after being inundated over the last few years with questions from listeners about why Mambazo records were not available to purchase, Cothoza Mfana presenter Alexius Buthelezi wrote letters to the different record companies based in Johannesburg. Buthelezi requested that producers come to Durban to hear the magnificent group. West Nkosi received Buthelezi’s letter and made the trip to Durban. Nkosi was a hugely popular sax jive artist who had just been promoted to a producing role by Rupert Bopape, who wanted to increase Mavuthela production. Nkosi immediately invited the group back to the Gallo studios in Johannesburg. A very hesitant Mr. Bopape met Nkosi and Mambazo upon their arrival. Bopape had seen other male vocal choirs such as the King Star Brothers, who were produced by rival talent scout Hamilton Nzimande, fail to catch on much with the public. Had Irene not been in the building that day, Mambazo would not have received a recording contract with Mavuthela. She had heard the group’s solid harmonies on Radio Zulu and, being an excellent composer herself, admired the unique quality of Joseph Shabalala’s songwriting. Irene insisted to Bopape that this was a group well worth recording, and she certainly was not wrong. Mambazo’s debut 1973 album Amabutho, recorded for Mavuthela and produced by West Nkosi, became the first black record in the country to hit gold. By the end of the 1970s, Ladysmith Black Mambazo had become the most popular isicathamiya group in the country’s history. The rest is history! Bopape and Irene had a natural musical partnership that developed perfectly during the 1970s. He had a unique talent for storytelling and would come up with hundreds of lyrics that were not only relevant to the listening audience but also distinctive – one might say that a Bopape composition was always distinguishable from the hundreds of records put out by each company every week. How Bopape’s songs came together during his time at Mavuthela was very interesting: although he certainly knew how to create the lyrical content of a big-selling record, he wasn’t actually a musician himself. During the week, Bopape would write song lyrics in his office for particular groups. On Friday afternoons, he would make sure every member of the group had a copy of his lyrics – their ‘homework’ over the weekend was to each come up with a melody for the composition. On Monday mornings, a Mavuthela team led by saxophonist Ellison Themba would listen to each one’s melody and select the best one. Lead guitarist and arranger Marks Mankwane would then supervise the song’s construction. It is true that Bopape was a legitimate and clever songwriter, but it is also important to consider that he did take much more credit that he was actually entitled to. Several of Irene’s Sotho-language compositions of the 1970s gave a joint songwriting credit to both Bopape and Irene, even if she had come up with both the lyrics and melody herself. Bopape and Irene’s personal association grew stronger, and it continued to develop to a point where they became romantically involved. Eventually, the two got married. Irene recalls the memory of being the wife of a music executive. At his home in Tzaneen, she was his wife. In the Gallo studio in Johannesburg, she was just another singer. Bopape’s professional conduct was to treat all the girls equally and fairly, no matter who he was personally acquainted with. He maintained a strict and impartial work ethic that ensured no private relationships complicated or distracted from the job in hand. Many prominent black businessmen partook in the widespread traditional custom of polygamy. Rupert Bopape was one of these. He was romantically involved with several women over the years, many of them singers under his production, and was the father of scores of children from these relationships. 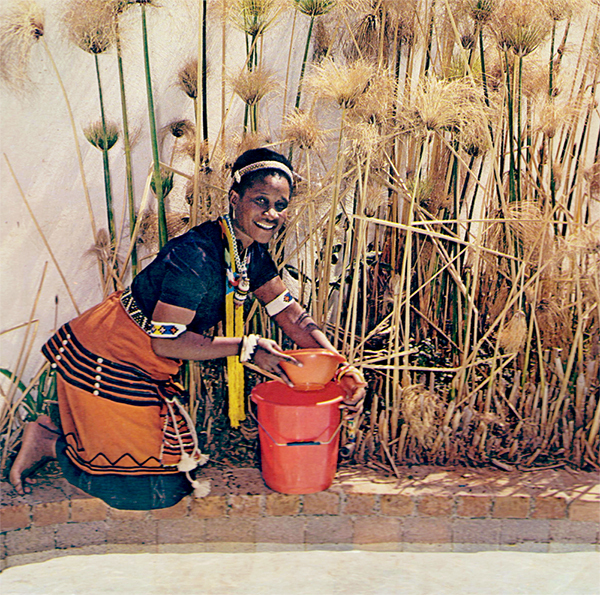 When Bopape married Irene in the mid-1970s, he had already been married to Francisca Mngomezulu – the original leader of the Dark City Sisters – for around a decade. Francisca was a melodious singer who had written some of that group’s most popular singles. Bopape and Francisca entered into a romantic relationship not long after she joined EMI. By the time he was building up Mavuthela into a musical powerhouse for Gallo Africa, Bopape had married Francisca and began monitoring her movements closely, even restricting her musical career. He moved her into his home as his wife in Tzaneen permanently, as well as strangely severing her ties with her own family in Alexandra. Bopape would sometimes bring Francisca to Johannesburg to record with his new line-up the Mahotella Queens, but then made sure she went straight back to Tzaneen after the session. It has been stated by Francisca's surviving family members that Bopape's actions were proof of his jealous and selfish nature. With her movements restricted, Francisca often wrote songs that she would give to Bopape to take to Johannesburg. Irene Mawela moved into Bopape’s Tzaneen home when she married him, living in peace alongside Francisca with whom Irene naturally got on very well. Irene was adamant that her musical activity was not going to be limited now that she was married to Mr. Bopape. He agreed, but only on one condition – she would not tour with any of the Mavuthela groups that she recorded with. Irene obeyed his decision and her career otherwise continued as usual, travelling with Bopape to Johannesburg and returning with him to Tzaneen. Irene and Francisca sang together in Bopape's home, and often wrote together too. Some of the songs they co-authored included "Siyoqinisa", "Warrah" and "Sidl'imali Zethu", all recorded for Irene's own Mgababa Queens. 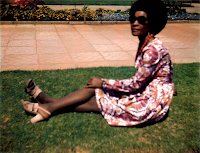 After the dissolutions of the Mgababa Queens and Izintombi Zomoya, Irene continued to make sweet music as Irene and The Sweet Melodians, as well as Irene and The Zebra Queens. For recordings released under these two names, she was sometimes joined in the studio by other vocalists – including some of the Mahotella Queens, like Thandi Nkosi and Caroline Kapentar – but Irene mostly sang the entire girl group harmonies herself, recording each vocal part one after the other. This recording technique was instituted because the other girls were out on tour across South Africa and its surrounding territories. With the ladies busy on stage, Bopape kept Irene busy by forming another studio group in 1976, The Zebras, a team of male singers fronted by lead vocalist Irene, turning the usual girl group/groaner combination on its head. Among their several hit singles was "Selemo Sekene". Irene sings happily to the listeners that the cold weather is finally over – summer is here, the season full of green pasture and nourishment. In 1977, Rupert Bopape suffered a mild heart attack. He made a full recovery but later decided to retire from his role as the executive head of Mavuthela. After more than 25 years as a hugely pivotal figure in the music industry, Bopape took a left turn and concentrated his energies on setting up local businesses in and around Tzaneen. West Nkosi, by now becoming one of the most successful black producers in South Africa, used his professional nous to develop a good rapport with Gallo’s board of directors, enabling West to replace Bopape as head of Mavuthela. Although Bopape had resigned from the Gallo organisation and was collecting his pension, music never fully left his system. He still wrote song lyrics from time to time, mostly for Irene but also for the Mavuthela groups produced by Marks Mankwane, such as Abafana Baseqhudeni, the Mahotella Queens and Walter and The Beggers. The latter group was formed when Marks Mankwane recruited soul singer Walter Dlamini to his stable of artists as a rival to the wildly successful Jacob ‘Mpharanyana’ Radebe, produced by West Nkosi. Walter was backed by Mankwane’s recently formed instrumental band The Beggers, as well as a trio of girls – Irene, Thandi Radebe and Emily Zwane. Uniquely, all of Walter and The Beggers’ records were produced in English, and Irene composed a number of the group’s hits including “Disco Jive” and “Waited For So Long”. Unlike most other Mavuthela artists, Irene was not kept under the wing of one single producer. This freedom allowed her to contribute to hundreds of recordings of varying styles and genres under several different black producers employed by Gallo. Irene also continued to simultaneously record Venda versions of the music she produced at Mavuthela for the SABC. In 1978, under the production of West Nkosi, Irene recorded two smash hit Venda recordings, "Mudi Uno" and "Mudavhini". In the same year, Irene recorded the English pop tune “You Promise”, a new version of a song Irene had originally recorded with her Troubadour session mates in the early 1960s. The new recording was an up-to-date version complete with swinging soul beat and the trademark Irene Mawela serenade. ‘Never forget that you are still in my dreams… oh, yeah… darling, never ever worry, ‘cause happy days are coming soon, I know…’ croons Irene to her sweetheart. 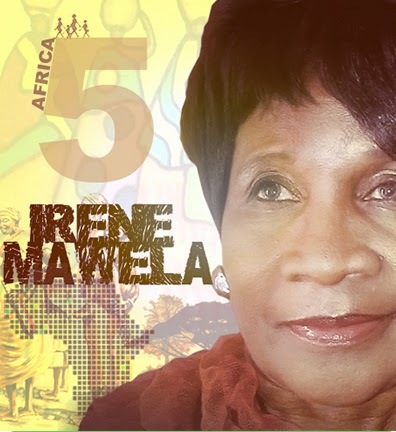 By the end of the 1970s, Irene Mawela was arguably one of the most familiar and recognisable voices in South Africa thanks to the hundreds of songs that were kept on rotation over the SABC airwaves. Following Irene’s breakthrough as the first mbaqanga artist to produce a selling Venda record, a host of Venda musicians had followed in her footsteps and arrived in Johannesburg to try their luck. Many of the musicians who were recorded were actually performing traditional Venda music instead of the dancing mbaqanga beat that Irene preferred. When Mavuthela auditioned and eventually awarded recording contracts to Venda artists such as Alpheus Ramavhea, Eric Mukhese and Elvis Mandiza, Irene was able to build up good working relationships and friendships with them. She offered suggestions, influenced the way the sound was developed, acted as a backing singer on their records and also wrote one or two numbers for them. In particular, Eric Mukhese and his group Takalani Band became another fixture on Radio Venda thanks to the support of the first lady of Venda music! Irene had recorded on-and-off with the Mahotella Queens, Mavuthela's premier female vocal group, since the mid-1970s. Some of the many songs she wrote or co-wrote for the Queens included “Sithunyiwe Mnumzane”, “Uthando Luyisilima”, “Ntshwarele Ntate”, “Ho Nyalwa”, “Si Shaywa Umoya”, “Majik’eduze”, “Otlankesa Kae Kesegole Sahao” and “Suzie Uyangiphoxa”. In late 1979, producer Marks Mankwane drafted Irene and fellow solo artist Olga Mvicane in to the studio line-up of the Queens after the group's membership suddenly fell short. These recordings were, as usual, released across 45 rpm singles and then compiled into an LP (Tsamaya Moratuoa, released in early 1980). Two of Irene's contributions were re-arrangements of Sotho standards, “Re Basadi Kaofela” and “Mpulele", both released on 45 rpm as 'Irene and Mahotella Queens'. Irene recalls the thrill of hearing her arrangement of "Mpulele" taken to new heights by the musical team in the studio. The track begins with an intense combination of drum kit and bongos. The organ appears, flourishing a warm melody and before long, that classic Mahotella sound fills the ear. The dynamic Walter Dlamini joins the ladies with the now-famous ‘it’s raining outside, raining outside’ lyrics that made the song a hit. Likewise, it was Irene’s lilting ‘dumela… dumela…’ introduction that helped “Re Basadi Kaofela” become a top-seller of its own. Irene’s lead vocals guide the Queens melodiously and effectively – and there is even an amusing spoken monologue recited by the group's tenor vocalist Caroline Kapentar. In late 1982, Irene was given permission to record her first LP completely in Venda language for Mavuthela. Lucky Monama, one of Mavuthela’s public relations officers and also the chief producer of the company’s traditional output, produced the 10-track album – which incidentally was the first material to be credited to ‘Irene Mawela’ rather than a recording name like ‘Irene and The Sweet Melodians’. The album, Khanani Yanga (Motella BL 370), is still Irene’s best-known Venda work. The most successful number from the LP was “Nditsheni Ndi Digede”, often referred to by fans as ‘ndi itwani naa nne tshisiwana’, which is the first line of the song. In the tune, Irene sings that people should stop being envious of other people’s success – they should enjoy the benefits of their own hard work and efforts. Another wonderful tune from Khanani Yanga is the delightfully upbeat “Ariyeni Muraleni”. In the song, Irene tells all to come with her to the Venda village of Muraleni to hear a songbird that can lift the spirits of whole nations with her music. Rupert Bopape’s last main contribution to the music industry in the 1980s was a collection of Northern Sotho lyrics written for the Mahotella Queens in late 1982, which producer Marks Mankwane put melodies to. A number of political obstacles within Mavuthela had made it more and more difficult for Bopape to participate in the industry after his 1977 retirement. With Irene still an active recording artist, Bopape became frustrated and, in 1983, started refusing Irene’s requests to travel from Tzaneen to the Gallo studios in Johannesburg. This was an attempt to effectively end Irene’s singing career in the same way he had put a halt to Francisca Mngomezulu’s musical activities. On one occasion in October 1983, the Bopape home received a visit from Gallo representatives sent by Lucky Monama who had specifically instructed them to bring Irene to Johannesburg to record. Bopape had little choice but to agree, and Irene went to Johannesburg to begin working on some new recordings to be produced by Monama. During the following studio sessions, Irene recorded twelve songs that were simultaneously issued on 45 rpm singles and three EPs (as part of Mavuthela’s popular Super Maxi series). The first EP (Motella SML 5016) featured four Venda songs: “Mme Anga Khotsi Anga”, “Vhubva Khanani”, “Ni Songo Shona” and “Vhana Vhashu”. The second EP (Motella SML 5017) contained four Sotho songs: “Hao Nkarabe”, “Haba Mamele”, “Etlo Labohlano” and “Oitshware Hantle”. The third EP (Motella SML 5018) comprised two Zulu songs and two Xhosa songs: “Thenjiwe”, “Jabula Mfana”, “Mbhekeni” and “Baba Siya Cela”. Among Irene’s wide Venda listenership, there are two particular songs that are considered her signature tunes. These are: “Nditsheni Ndi Digede” from 1982’s Khanani Yanga, and one of the classics from her 1983 Venda EP – “Mme Anga Khotsi Anga”. The two songs remain the most requested and remembered of her entire career. Irene wrote “Mme Anga Khotsi Anga” as a dedication to her late parents, the mother and father who had given their consent for her to follow her talent and become a musical star. In the song, Irene questions why her beloved parents had to leave her all alone without even witnessing their daughter’s musical success. However, the will of God is something that must be obeyed, she sings, and the strong love will remain no matter what. One of the songs from the Sotho EP, “Hao Nkarabe”, took Irene to another level of fame. The song is a beautifully written piece, the story of a woman declaring her undying love for her man, from whom she is separated by hundreds of miles. ‘Driven by my love, I wrote a letter to you… but it has gone unanswered… the love that I have for you is more valuable than gold… if I had enough money, I would board an aeroplane immediately in the hope of being with you’. The song, with its nicely sentimental lyrics and creative use of the sound effect of an aeroplane, quickly established itself as a big-selling record. The October 1983 sessions were to be Irene's last recordings of new material for a number of years. In 1984, she became pregnant with her son Rudzani 'Bellafonte' Mawela. It is not surprising that Bellafonte would emerge in his adulthood as an incredibly talented contemporary singer, building up a successful career all on his own. Also in 1984, Irene and Bopape harmoniously separated. 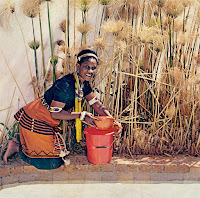 Irene left Tzaneen, returning to her Venda roots by settling in Muraleni. Even though the two had split, Irene cherished the positive aspects of the man who had instilled a great many attributes within her during her formative years in the music industry. The negative aspects of his personality could be rivalled in size by the immense and positive contribution to the careers and personalities of so many countless artists. Bopape was an intelligent and smart man who Irene respected for the way he had taught her to keep proper time, to avoid laziness and to be very serious about the job that she and her fellow vocalists were doing in the recording studio. Irene was more than willing to keep in close contact with the producer who had built her up into a music star, regularly travelling over the years from Muraleni to his Tzaneen home where she spent full days with the former producer and his lengthy family of children and grandchildren. In 1988, Irene appeared alongside fellow singers Yvonne Chaka Chaka, Lynette Leeuw and Hilda Tloubatla in a local movie titled The Rain Queen, dedicated to the Modjadji (Rain Queen) of Balobedu. During the film, Irene performed her still-loved Sotho hit “Hao Nkarabe”. To meet with the then-ruling Queen Mokope Modjadji was a huge personal honour and achievement for Irene, but she was completely humbled when the Queen offered her a R10 note in response to her performance of the song. Following this unexpected honour, members of the public did the same and graciously gifted money to Irene! With her children on the road to adulthood, Irene decided to resume her musical career in the early 1990s but was met with a number of hurdles. A markedly changed and increasingly saturated market meant that even her old contemporaries were struggling to convince recording companies to release their music. The only possible exceptions were Mahlathini and the Mahotella Queens, although their popularity and success was mostly concentrated overseas, with little recognition from the home crowds. Nonetheless, Irene’s sweet voice and enormous gift for excellent, memorable songwriting ensured that she was the most widely known artist among the Venda-speaking people. The recordings she had made in this language for the SABC and for Mavuthela were still a staple of the musical playlist of Radio Venda (soon to merge with Radio Thohoyandou to become Phalaphala FM). Using this fame, Irene was able to travel to the SABC studios to record some of her first new songs for almost a decade, most of them in Venda. Some of Irene’s other new recordings for the SABC included “Athilaiwi”, “Danny Boy”, “Fhumulani”, “Mutale”, “Ndo Vhuya Venda”, “Thohoyandou”, “Tshigombela”, “Vumani”, “Vurhongo” and “Xikolo”. Although Irene recorded on occasion during the 1990s (in addition to appearances on SABC television programmes such as Gospel Gold), it was not until 2007 that she had the honour of returning to a studio to produce her first commercial recordings since 1983. She decided that it was finally time to record an album after continued requests over the years from fans of her music; although she had recorded many transcriptions for the SABC during the 1990s, they were only played over the radio and not available to purchase from music stores, and the material she had made for record companies was long out of print. Working in conjunction with a talented team of musicians that included Simba Mapfumo (lead guitar), Jabu Sibumbe (bass), Tshepo Monama (drums), Emmanuel Mamphogoro (keyboards), Connie Mhlongo (backing vocals) and her talented children Windy and Bellafonte, Irene produced the superb Tlhokomela Sera. The ten-track album – mostly sung in Venda language – marked Irene’s comeback in a big way, fusing the classic sound of her smooth vocals with the trademark mbaqanga rhythms and a heavy, fresh, modern beat – a surprisingly irresistible and contemporary mixture. “Mme Anga Khotsi Anga” and “Vhana Vhashu” (the latter track renamed to “Morena Re Thuse” in recognition of the first line of the song) were given the 21st century treatment alongside a number of other newly written songs and two modern reinterpretations of traditional hymns. There are some deeply incredible gospel songs – “Kwelo Khaya”, “Loyo Muntu”, “Khotsi Anga”, “Jesus, The Son Of God” and “Yehova” – that demonstrate Irene’s everlasting vocal versatility even into her 70s. Irene still has the privilege of seeing Tlhokomela Sera selling well as the years go on. The album can be purchased digitally via the usual sources including iTunes and Amazon, and is also widely available to buy on CD from almost all South African music retailers. Irene’s friendship with Rupert Bopape continued until his death. His family became closely acquainted with the lovely singer once married to their grandfather, the nice lady who would visit their home to share memories and stories with the old man. During a visit to the family home in early 2012, Bopape presented Irene three recently written Sotho songs: “Kgwerana Mapimpane”, “Tirekere” and “Thitshere”. Irene set to work almost immediately, developing melodies for each of the tunes, as well as re-arranging two memorable numbers that Bopape had written for her groups in the past: “Phakisa”, composed for Irene and The Sweet Melodians in 1975; and “Ha Ibe Kgotso”, composed for the Black Sea Giants around 1960 under the original title “Kae Le Kae”. Along with a number of newly composed songs by Irene, these songs were recorded and released into a new studio album titled Africa 5. The 14-track album featured a brand new version of the tune closest to Irene’s heart, “Ndiala” (retitled on Africa 5 as “Mpheni Vho Ndile”), as well as a re-recording of one of her truly stunning Venda songs, “Guvhukuvhu”, now rearranged as a tribute to the splendour of the Mapungubwe National Park – and appropriately retitled on the new album as “Mapungubwe”. Irene’s innovative mind continues to explore the wide possibilities of music making, successfully tackling a modern "Shangaan Electro"-style beat in “Ta Vinjana” – and there is even a collaboration with Venda rapper Komrade Li in “Litshani Vhutshivha”, which also features the contemporary vocal brilliance of Bellafonte. Although Bopape was by now long retired and in delicate health, he was able to join Irene in the studio to provide some delightfully poetic spoken word on one of Africa 5’s tracks, a lovely throwback to the Mavuthela days when Bopape used to deliver a mountain of dialogue and chants on hit songs by his artists. “Tirekere” is the story of a woman (Mapule) who struggles to convince her husband (the eponymous Tirekere) to accept his responsibilities as the man of the house. Tirekere is an idle man who forever looks after number one; he feeds himself without thinking about how to feed his wife and children. Irene sings about the fact that Tirekere has entered the house with “maeba a mabedi” (two doves) and intends to eat all the meat himself. ‘If you have two doves’, says Mapule, ‘then you should prepare two bowls of porridge – a bowl of meat and porridge for each of us. We have been married for many years, but still you fail to provide properly for your family. When I prepare food for you, I take my time to prepare it grandly and lovingly. I’ll keep on reminding you about your selfish ways until you act responsibly for your family’. The story of Mapule and Tirekere is told beautifully through the passionate harmonies of Irene and the charismatic chanting of the great storyteller, Rupert Bopape. He passed away on 15 June 2012, aged 86, shortly after the completion of Irene’s Africa 5 album. The greatest testament to Irene’s remarkable talent is the astonishing number of deserving awards she has received over the years. In 1974, her hit song “Abakhulu” won Best Song at the SARIE Awards, earning a second place certificate; in 1983 she won another second place Best Song award from the SARIEs for her popular composition “Hao Nkarabe”; Irene won the award for the Best Leading Venda Artist (‘Nambi ya Dzinambi’) from the SABC/Radio Venda for three years in a row – 1982, 1983 and 1984; in 2005, Irene was honoured at the Night of the ‘50s ceremony held by the South African government’s Department of Arts and Culture; she was honoured again in 2007 in the next ceremony, the Night of the ‘60s; in 2010, Irene was honoured a third time by the government as part of a tribute to successful and influential female figures within the arts and cultural sector; in the same year, she received a special award from the Calvary Christian Church for her contribution and influence; and in 2012, Irene received a long-awaited Lifetime Achievement Award in the first awards ceremony dedicated solely to Venda music, the Tshima Awards. (Irene’s acceptance speech at the 2012 Tshima Awards can be viewed here on YouTube.) As can be deciphered from the intricate, graceful and almost poetic wording of her compositions, Irene is truly blessed as a musical artist. Between approximately 1957 and 1983, Irene produced or contributed to around 1,000 studio recordings and radio transcriptions. Under a flurry of different producers, groups and names, Irene produced a veritable library of excellent music, earning a wonderful reputation as the most creative studio artist of the day. Yet, next to nothing of it has been made available for consumers to purchase, in spite of the fact that Irene’s music is still regularly given generous airtime on Phalaphala FM because of popular demand from the old and the young. One only hopes that the problem is rectified in the near future with the most famous and well known of Irene’s songs given the digital releases they deserve. Until then, Electric Jive has selected the best material from the original vinyl records and now presents them to you for your enjoyment. My humble thanks must go to Laurent Dalmasso for providing a digital transfer of a 1960s 78 rpm (“Buya Kunzima”); to Siemon for five other 1960s recordings (“Insizwa”, “July Handicap”, “Mamorwesi”, “Our Love So Great”, “Rose”); and to Matt for a song from the Dark City Sisters (“Tap Tap Ntshebe”). Finally, I would like to give my acknowledgement to a wonderful individual who has graciously and enthusiastically supported me in my wish to document the history through the memories of those who were there at the time. Without the backing of Norton Ramavhoya, whose tireless efforts have already given so much in a short space of time, this post simply would not have happened. Thanks so much for all you have done, Norton. …and now, please download the compilation below for a true insight into one of South Africa’s most enduring musical legends – Irene Mawela. wow Nick - thank you for sharing this very thorough and important research you have conducted. The excerpts you recorded of Irene in 2013 come through crystal clear. Spot on Nick, thanks sooo much! I am a fan of this site and have downloaded gigs of material, songs that I last heard 30 to 40 years ago! I still have to take a listen to this compilation. Irene had a hit called Ikhaya, if I remember well. Keep them coming and thank you so much. Thank you--not just for the fine music surveying Mawela's great career, but for the excellent article, as well. And have a Merry Christmas! great article and wonderful music. thank you. Magnificent biography and a wonderful compilation. I have just been singing along in my best broken Sotho (me being Scottish) to track 20 and can confirm that it is indeed "Mogadibo". Those playing along at home should adjust their MP3 tags accordingly! Thanks to all for the wonderful comments - we're just honoured to be sharing the story of a fantastic musical career. wow, very thanks for the amazing story of the great lady.I grew up listening to this lady's music. I havent hear her tracks Ni songo Shona and Vhana Vhashu for too long.Phalaphala Fm still give us some of her old and new music but we miss lot of her songs. Thanks a lot about such a great life story coverage. Greetings Nick Lotay and huge congratulations! 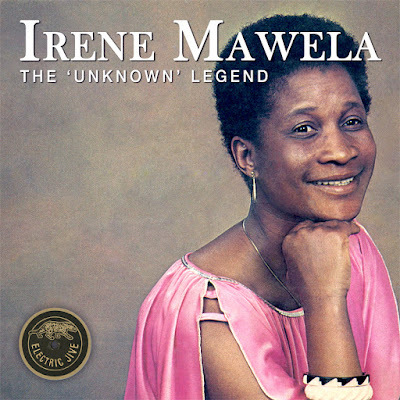 Your presentation Irene Mawela's music and biography is an absolute treasure to discover. She has been on my radar ever since I heard that wonderful track of hers -Thaba Tsweu - on a compilation record I bought in Kohinoor Records in the 80s! Since then I have been always on the lookout but never managed to find out more about her music. Very exciting - many thanks! Thanks for the info. I was playing some of her songs yesterday. I love Ariyeni Muraleni and Nnditsheni ndi di phine. What a voice!!! I do know this voice and had always associated it with a Sotho music legend. This woman is a legend indeed. Selemo Sekene, Mme anga Khotsi anga and Re basadi kaofela are making my everyday. hezwi ndi zwavhudi, zwikho sumbedza uri havha muthu ndikale vhakha zwamudzika , mudzimu avha tonde..
thanks for the narration it is so humbling .The woman is an ambassador of venda culture.She just created a music treasure trove for us music lovers .I Wish she could visit Beitbridge in Zim coz she i an epitome of venda traditions.I Remember my late father playing her song nditsheni ndidigede in 1983 in his old battered VW tortoise Van. vhoshuma ngoho thank you so much. Thanks for this nice profile for Makhulu Irene,Nick thanks, vho shuma mukegulu.